Oh my goodness me, how could i have not thought of making jelly with milk? 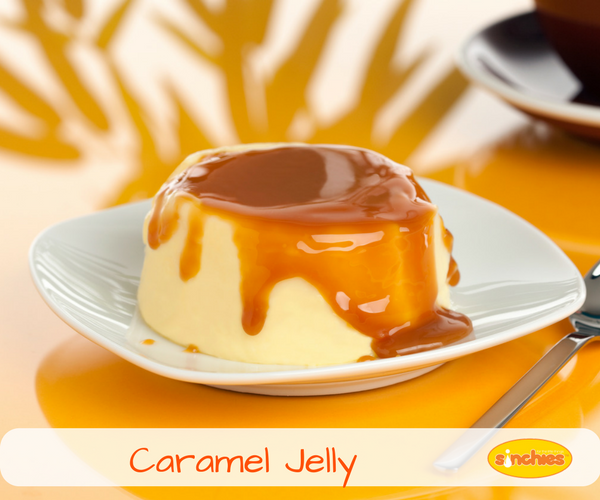 This caramel jelly is absolutely to die for. It's not exactly the healthiest but it is the yummiest. Soak the 6 gelatin leaves in some water for a few minutes to soften. Place the 50g caster sugar & 200ml of water in a saucepan and stir until the sugar has dissolved. In a jug measure out the 300ml cream, 100ml water and the 2 tsp of caramel essence. Squeeze the water out of the soaking gelatin leaves and add these to the saucepan with the caster sugar and water and stir until dissolved. Turn the stove top off. Pour into about 8 x 80ml Sinchies reusable pouches and place in the fridge until set.